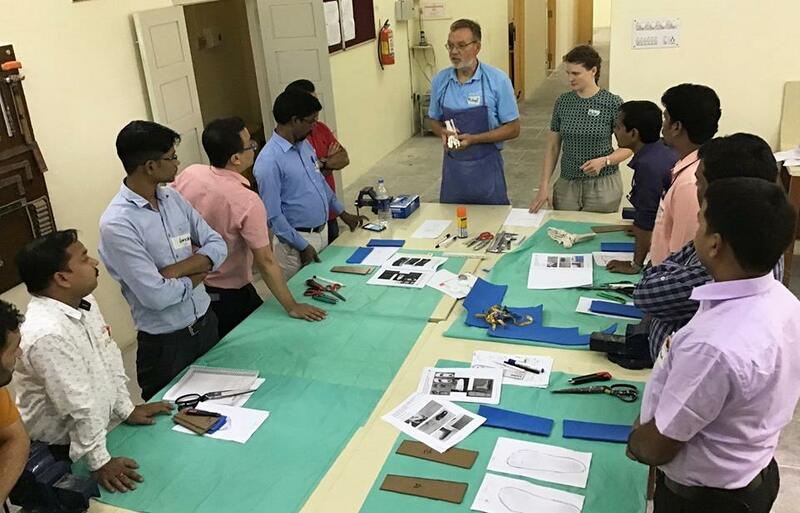 The International Committee of the Red Cross (ICRC) organised an eight-day workshop with international experts for orthotists at CMC Vellore. The specialised course focused on the management of neurological cases with lower limb orthotics for participants from ICRC-supported physical rehabilitation centres. 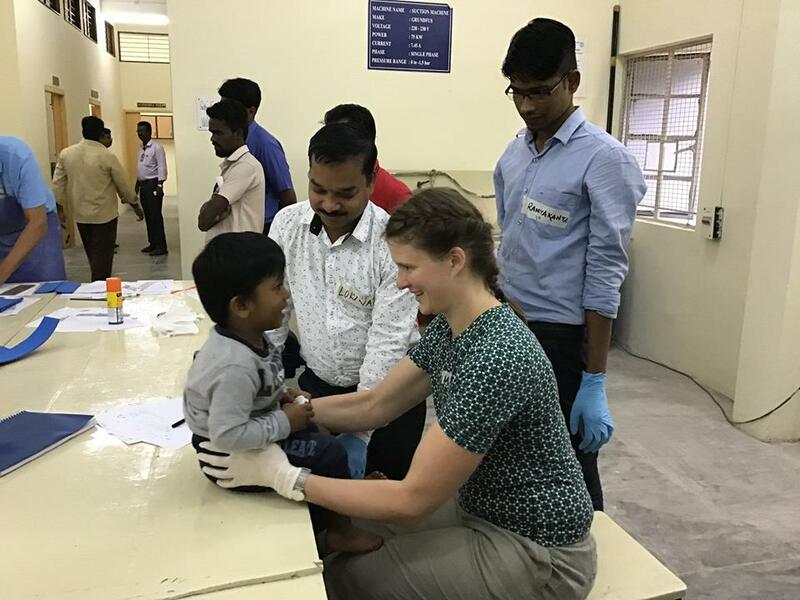 The workshop, held at ICRC partner institution CMC Vellore, was attended by ten participants where a number of adults with stroke, and children with cerebral palsy and spina bifida were fitted with lower limb orthotics. Children with cerebral palsy are frequently treated at ICRC-supported physical rehabilitation centres spread across India as it is one of the main causes of physical disability in children and is a challenging condition to treat. The course aimed to address the need for in-depth understanding of treatment of neurological cases. The importance of gait analysis, assessment, and a multidisciplinary team approach was also stressed upon. 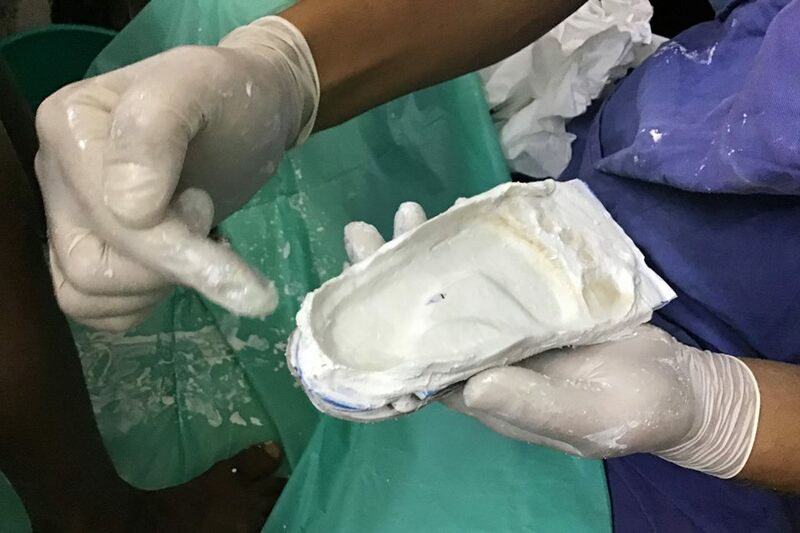 A total of 13 people, including seven children, were provided with appropriate orthotic devices at the end of the course. The trainers for the course, Michel Rexing and Maike Truelsen are expert consultants from Human Study e.V, Germany. The eight-day training was preceded by a five-week online theoretical training and will be followed-up with additional twelve weeks to deepen understanding of the subject. The participants can use this time to reach out to the trainer and clarify any questions or doubts. The workshop set goals for each participant – to produce three different kinds of custom-made orthotic devices. The workshop was designed in a way that participants performed the entire treatment process – right from in-depth assessment to the test fitting and gait analysis. It was such a wonderful workshop where I got to refresh a lot of methods to analyse for the orthotic intervention for the neurological cases. Fine tuning of the devices with the gait analytical videos to improvise the post fitting gait. Thanks to ICRC New Delhi, Mobility India Bangalore for supporting me to attend this workshop and also to the experts from Human study Mr. Micheal Rexing and Ms. Mike Truelson for your valuable sessions.